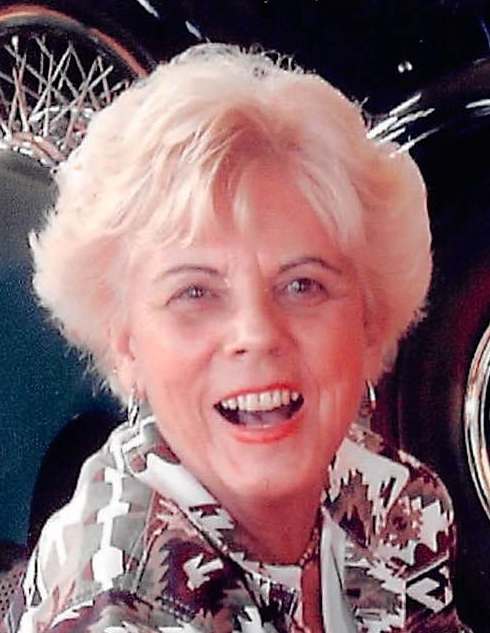 Phyllis “Ci” J. Develbiss of Troy, age 88, passed away on April 9, 2019 at her home. She was born on February 2, 1931 in Phillipsburg, Ohio to Leroy J. Cissner and Olive M. (North) Cissner Thompson. Ci was preceded in death by her parents; stepfather Nolan Thompson; son Bruce J. Develbiss; and Dr. Jack A. Develbiss, the father of her children. She is survived by her loving daughter Jodi (Stephen) Wells of West Milton; grandson Stephen (Misty) Wells; sister Barbara (Jim) Blair; her nieces and cousins; like-sister Pat Flowers; “The Gang” – friends since childhood; granddogs Willow and Findala; and many others, all close to her heart. Ci was a graduate of Milton-Union High School, class of 1948, and was a member of the West Milton United Church of Christ. She retired from Wright Patterson Air Force Base, where she worked as an air traffic controller for 32 years. She loved taking care of her birds, visiting the ocean in Florida, and her volunteer work at church. There will be a gathering of family and friends to honor Ci’s life from 5:00-8:00 PM on Monday, April 15, 2019 at the Hale House Event Center, 320 N. Miami St, West Milton (adjacent to Hale-Sarver Funeral Home). In lieu of flowers, the family strongly encourages memorial donations to Hospice of Miami County or the Milton-Union Alumni Association. Messages of sympathy may be left for the family online at www.hale-sarver.com.